For the first 10 installments of our series, Women Making Waves in the Cider World, we’ve focused on individuals who are challenging the assumption that craft cider is a “boys’ club”: entrepreneurs, cider makers, writers, advocates and educators from across the continent. We’re going to take the next few posts in the series to look at larger cider operations that are employing women in high numbers and in all types of positions across their companies. Real progress in terms of diversity must happen, after all, in concert across all sectors of the cider industry — thousands of people making decisions, large and small, that shape the future of modern craft cider. 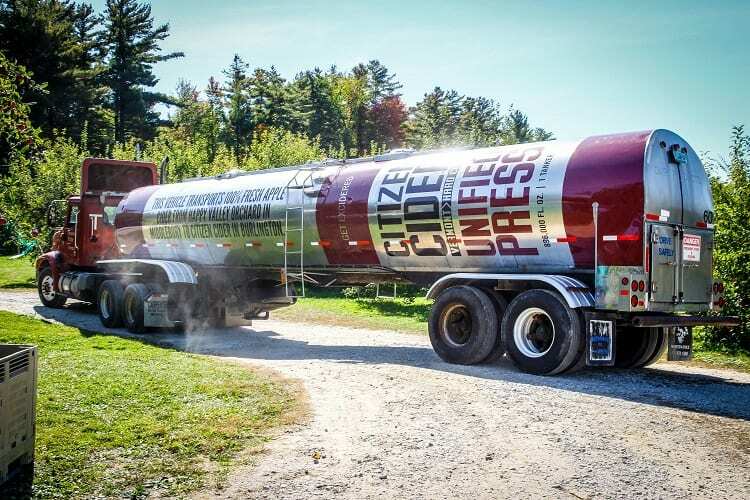 First, we’re going inside Citizen Cider, the Burlington, Vermont-based powerhouse that’s been steadily growing ever since its inception in 2010. The founders are three dudes, Justin Heilenbach, Bryan Holmes and Kris Nelson, but currently, women make up more than half of the leadership positions in the company, from sales to design to marketing to production. For the sake of brevity, we’ve decided to highlight three Citizen employees working in cider production: Kim Cooper, Danielle Brabon and Chelsea Shea. Kim Cooper started working at Citizen Cider one year and nine months ago. 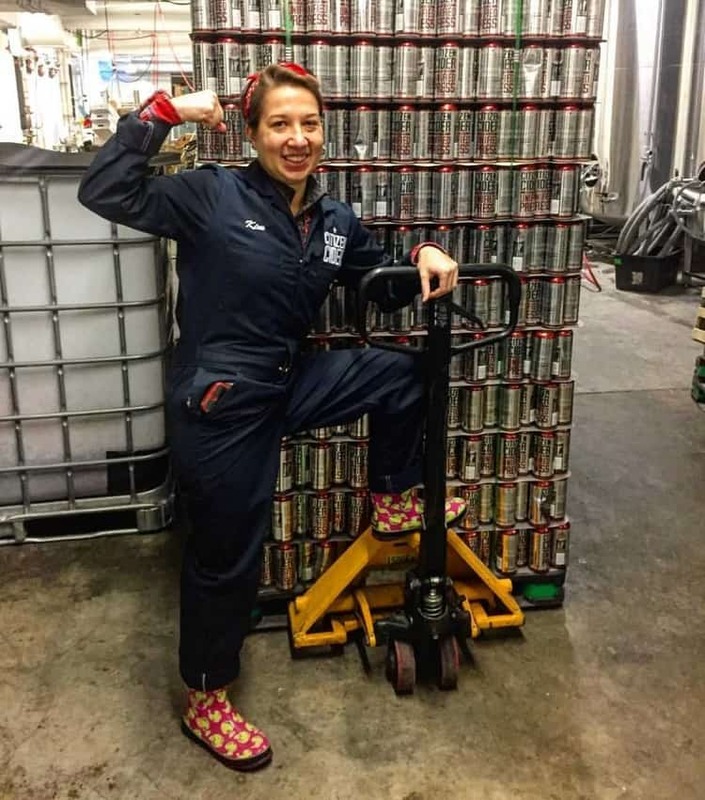 She says that her average day as the Quality Assurance Manager at Citizen Cider involves wearing many hats. “Typically, my time is spent performing chemical analysis on ciders in various stages, from fermentation to finished product; assessing and monitoring the quality of all of our in house ciders and making sure they are up to snuff; responding to any quality issues that come up; and working with the production team to make sure that all of our ciders are ready to go out the door,” she reports. Cooper relies on her scientific background to do her job well; she used to work in healthcare and then, looking for a change, took on part-time work as a clinical microbiologist at a brewery. 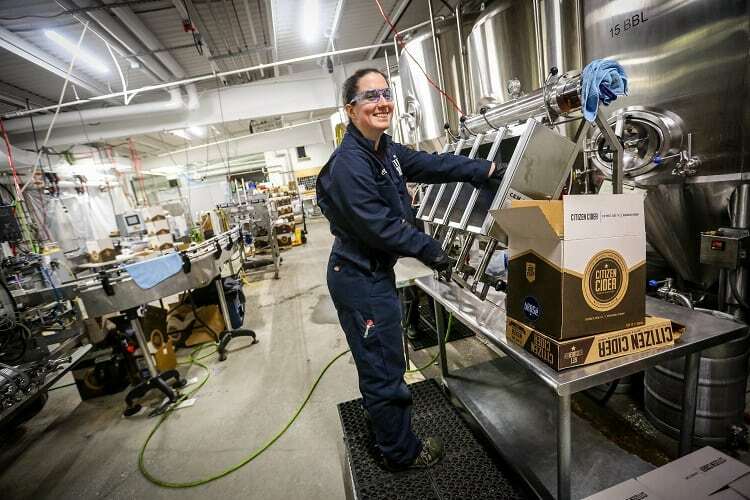 Between her growing interest in the craft beverage industry, and her hope to move back to the Burlington area to be closer to family, she was excited when she saw the job posting for a Lab Technician at Citizen Cider. “I applied and the rest is history!” she says. She feels proud for how much she’s learned about cider in her short time at the company, especially as a leader with a lot of responsibilities, and she is honored that Citizen Cider has put its faith in her. She admits that working with cider presents some unique challenges, because fermentation doesn’t always behave in expected ways. “I try to go into it with the attitude that some days I work for the cider and some days it works for me,” she says. 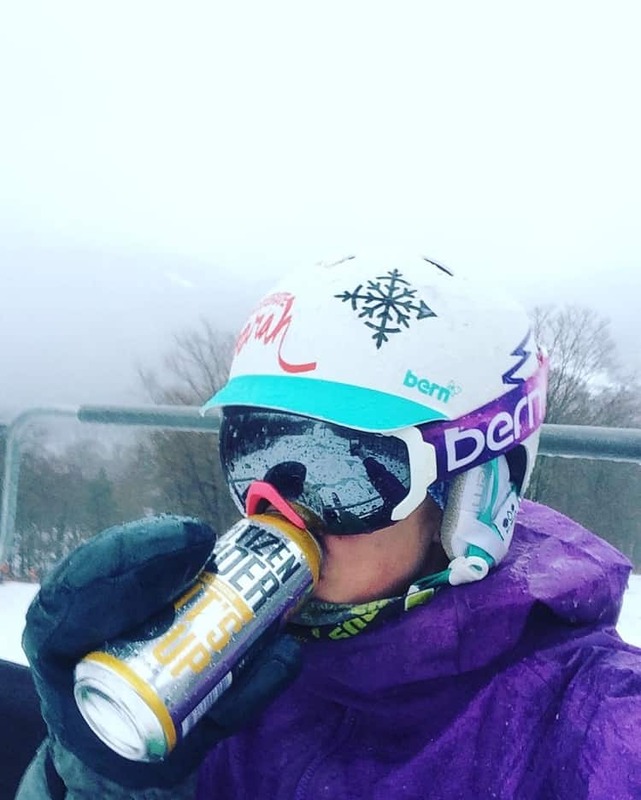 Danielle Brabon, an avid skier, mountain biker and “lover of all things cider” is 28 years old and has lived in Vermont for 11 years. She’s worked as the Lead Packaging Logistics Manager at Citizen for three years; she started as a server in the tasting room and her role changed two years ago. “One day, they needed extra hands on the packaging line, so I offered to help. Then I never stopped helping!” she says. 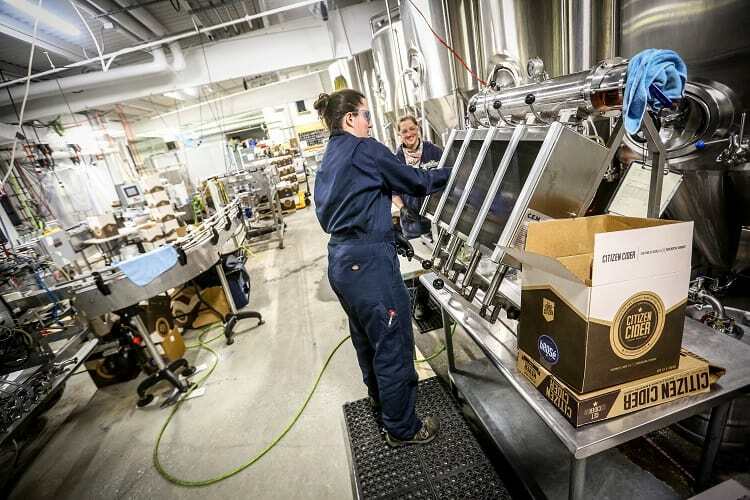 Citizen used to hand-pack its four-packs, and now makes use of an automated canning line, which requires two people to run it along with a third floater. Brabon comes in every morning to get the line up and running and ready for packaging anywhere between 80-100 barrels of cider. “I manage the packaging team and make an appropriate schedule to make sure that all cans, bottles and keg needs are taken care of. I also take care of all the orders, and shipping and receiving for all product and materials,” she explains. An average day in production for Shea consists of running the canning line, filling bottles, filling and cleaning kegs, cleaning tanks, cleaning the canning line among other hands-on tasks that need to be accomplished on that particular day. She says that she feels most proud of being able to see Citizen’s products out on the market, or someone drinking it at a bar, knowing that she and her team produced that product. 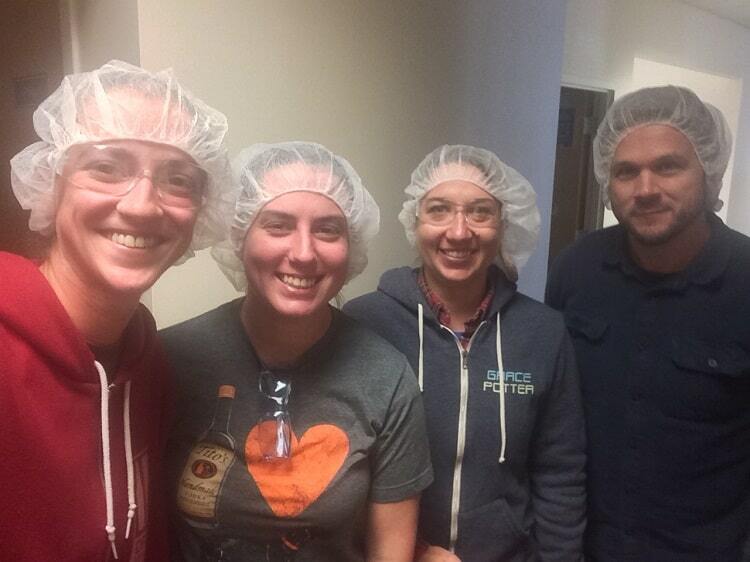 Want to learn about other women making waves in the cider world? Check out our ten installments on the topic so far. And if you know of a women-led cider company, or a producer like Citizen who employs women in leadership roles, send us an email at cheers@ciderculture.com.